CHENGDU: Yan Lei stands near the edge of a skyscraper as his camera pans out to capture a southwestern Chinese city’s landscape — an activity he won’t stop despite the recent fatal fall of a more daring “rooftopper”. The illicit journey above Chengdu saw him race up the building’s stairwell armed with a torch, finally reaching a ladder to take him to his stunning lookout. “At first it was easy, there weren’t many of us. But with digital SLR cameras being affordable now in China it has become more difficult. Everyone has the equipment,” he said. 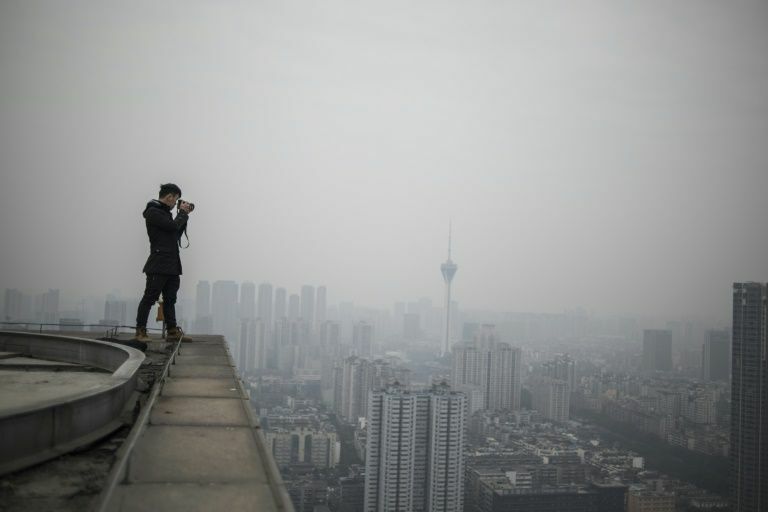 The pursuit of the perfect photo became even more complicated at the end of 2017 when a young Chinese “rooftopper” fell, plunging 62 storeys to his death. “This incident had a big impact on us because unfortunately many people confused us with them,” said Yan, who said he was “totally opposed” to extreme stunts. “We are trying to record the change happening in developing cities. They, on the other hand, are doing spectacular and dangerous stunts. Because of them, many places are now reluctant to let us photograph,” he said. But Yan still continues to indulge his passion for capturing cityscapes, particularly in Shanghai, his favourite of all of China’s metropolises.